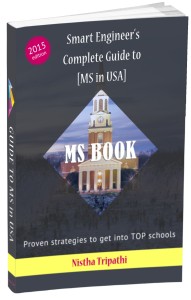 Why apply to MS in Canada? Trump has hinted that he does not like immigrants (which is the intention of 90%+ internationals who go for MS in USA), H1B caps and OPT rules are constantly under scrutiny and green card processing takes forever. In comparison, you easily get work permit upon graduation in Canada for 2-4 years in any field to work anywhere you want. The study permit itself allows for taking jobs off campus right from the beginning. Within this time frame, you can easily get your permanent residency. Therefore, studying from Canada means not only getting higher education but a hassle-free option of settling in Canada. Canada’s political stability, tolerant government, super healthcare, natural beauty lends itself to the wonderful quality of living in a peaceful environment. Yes, winters might be an issue for some people. While Canada may have a fewer number of schools than the USA, most of them are comparable in quality of coursework and research to the top tier schools of USA. Plus, for all the health and wellness benefits it offers, the job scenario is also not bad (we are talking about engineering fields for this post). There are increasing opportunities in growing fields such as Data Science. Plus, most of the bigger tech companies are opening offices in Canada if not already. In terms of the cost of attendance and living, it may be akin to the USA in total. However, financial aid opportunities seem to be abundant in good Canadian universities. While it is not unheard of to get $100K USD+ packages in the USA in software and technology along with handsome relocation bonuses, Canadian offers are lower with little bonuses. It is hard to get placement in US offices from Canada. So, if you graduate from Canada, you are best positioned to work in Canada only. I still believe that the USA offers the best job market and growth opportunities in most of the engineering fields. To summarize, those looking for long-term settlement, relocation to a foreign country and peaceful living, Canada offers you a wonderful opportunity. But if you are studying abroad to earn as much as possible and might want to come back to India, USA is still a better bet. The comparison is more clear from this interview with Rafi Alam. He shares insights about studying and working in Canada. That’s it, hope it helps you make a more informed choice for your study abroad plans!